will be happy to help you save with Hagerty Insurance! Established in 2009, Hagerty is Canada’s leading classic and collector insurance company. The company provides classic car insurance coverage that was designed specifically for classic or vintage cars at a price you can afford. Hagerty provides specialty insurance for more classic cars than anyone else in the world and offers auto insurance coverage for classic car owners in Canada in Ontario, Alberta, British Columbia, Nova Scotia, Prince Edward Island, Manitoba, Saskatchewan, and Newfoundland. With their policies underwritten by Aviva, they allow classic car and boat enthusiasts to have confidence in knowing they have insurance that is designed with a collector in mind. Hagerty doesn’t just provide insurance coverage to the classic car community, they are part of the community. 10% of their net profits are used to support the classic car community. They also have spearheaded a number of initiatives in the classic car community such as Hagerty Youth Programs, Historic Vehicle Association, Hagerty Education Program, Hagerty Car Club Partnerships, and they also publish the Hagerty Classic Cars Magazine. Coverage catered to meet your unique driving needs: Owning a classic car or boat requires specialized insurance to ensure you get the coverage you need to protect your pride and joy. You’ll save money on classic car insurance: Since Hagerty specializes in classic cars, they can offer premiums that are up to 44% lower than daily driver insurance. A company that is invested in the classic car community: Hagerty Insurance plays a large role in the classic car community. They live and breathe classic cars, and because of this, they offer insightful expert advice and knowledge about all aspects of caring for and insuring classic vehicles. Have a classic car or truck? Need specialized insurance coverage? Get an insurance quote with Hagerty Insurance through ThinkInsure and get the coverage you need for your unique ride. Learn more by reading their classic car FAQs. Learn more by reading their Marine FAQs. Hagerty also offers valuation services for classic cars and boats. Ready to get a classic car or boat insurance quote? Want to learn more about your insurance options? 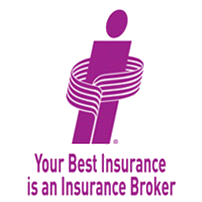 A ThinkInsure broker is happy to answer your questions. Contact us today – 1-855-550-5515.